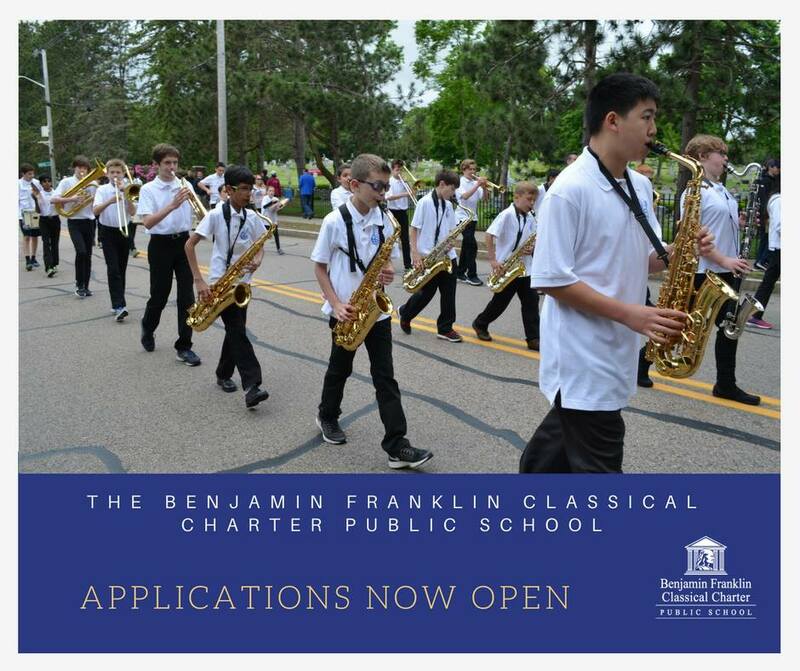 The Benjamin Franklin Classical Charter Public School, located in Franklin, Massachusetts, is pleased to announce that it is currently accepting applications for the upcoming 2018-2019 school year. Siblings of currently enrolled students will have priority enrollment status; thereafter applicants from all 13 communities in the school's district will have an equal chance at securing a spot for their child through the annual enrollment lottery to be held on, March 5th, 2018. Applicants from outside of the region, who reside within the state of Massachusetts, will be eligible for enrollment should additional spaces remain after all sibling and regional applicants have been placed. 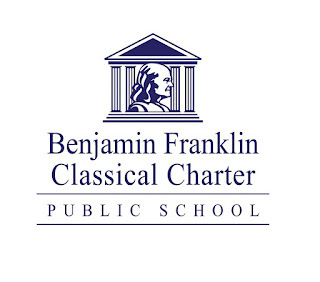 The Benjamin Franklin Classical Charter Public School has been in operation since 1995 and is located adjacent to the town common in Franklin. 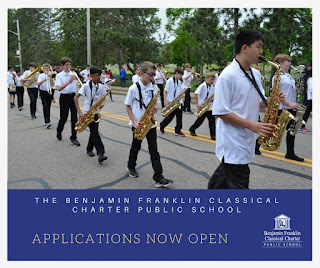 The school provides a well-rounded, rigorous academic program designed to educate the whole child providing yearlong courses in art, music, languages, technology, and physical education. The school's integrated character education, community service, and strong parent partnerships, have lead to local, state and national recognition. BFCCPS alumni continue to excel during their attendance local public high schools as well as independent high schools including The Commonwealth School, Noble and Greenough, Walnut Hill, and many others. Enrollment information sessions will be held at the school on January 20 from 10 AM to noon and also on February 10 from 10 AM to noon. Information sessions will also be held in the community on February 1 at the Milford Public Library from 6:30 -8:30 PM and at the Walpole Public Library on February 15 from 6:30-8:30 PM. All of the enrollment details, including applications can be found on the school website under the Enrollment category. Please note that the enrollment period will come to a close on February 28 at 4 PM EST. If you'd like learn more about the educational mission of the school or have enrollment related questions please contact the school's Marketing Coordinator, Joanne Basile at jbasile@bfccps.org or 508-541-3434 x140. 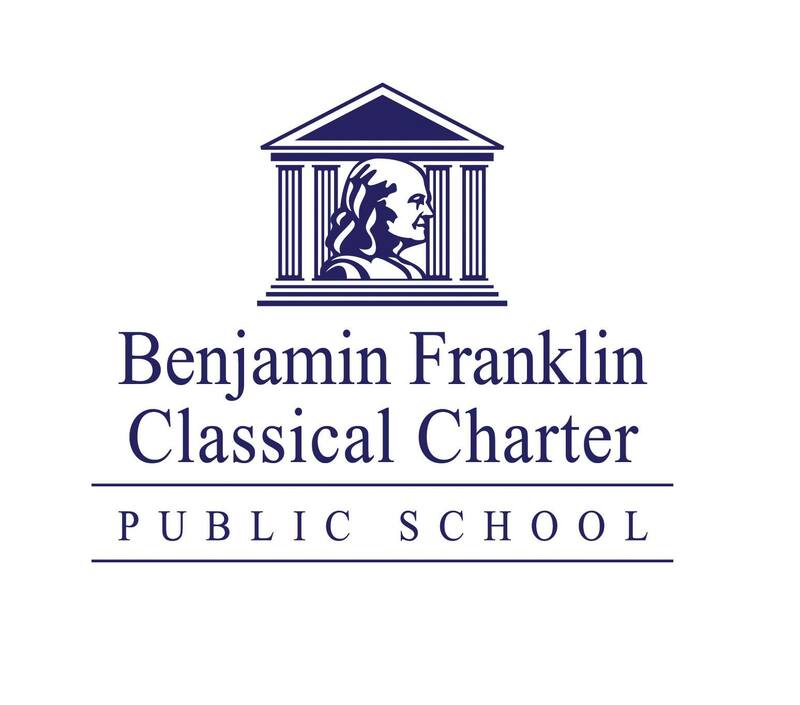 The Benjamin Franklin Classical Charter Public School's mission is to assist parents in their role as primary educators of their children by providing students with a classical academic education coupled with sound character development and community service. Our mission is supported by four distinct, yet interconnected pillars that provide for a collaborative, rigorous education for all students. These pillars guide, direct and define the school in all it does.